Multinational companies are already exploiting investor protection clauses in free trade agreements to ‘chill’ social and environmental regulations that threaten their bottom lines, writes Matt Langdon. The EU must heed the warning bells. Matt Langdon is trade policy assistant at Transport & Environment, a Green lobbying NGO. Tucked away in international trade and investment agreements like the EU’s proposed deals with Canada (CETA) and the US (TTIP) are ‘investment protection’ provisions that let private companies sue entire countries for billions of euros. These measures put national governments on the defensive when they try to enact laws that protect public and environmental health. It happens all over the world, and big cases in Australia and the US remind us that it will only get worse if current proposals for CETA and TTIP are approved. So when the Australian government tried to kick smoking, it ended up with more than a headache. Before its pioneering plain packaging rules for tobacco products even came into effect, Australia already faced several legal challenges from Big Tobacco. In 2012, the High Court twice upheld the constitutionality of Australia’s tobacco policy, but Philip Morris didn’t get the message. After dragging out their private arbitration claims against Australia, Philip Morris finally had their case thrown out on jurisdictional grounds by the arbitration panel in December 2015. Let’s unpack that. Philip Morris brought a case against Australia in early 2011 after ‘relocating’ to Hong Kong from the US, because Australia’s agreement with the latter didn’t include this kind of investor protection – expressly to prevent this kind of abuse – while its Hong Kong agreement did. But even worse than Philip Morris’ duplicity is that it took the panel of private lawyers hearing the case four years and at least $40 million (€36.7 million) only to rule that they weren’t in a position to rule on the dispute. Despite this, supporters say private arbitration is supposed to be a ‘quick fix’ over national courts. And if you thought Philip Morris’ case getting thrown out was a victory for public interest policy-making, TransCanada and its forthcoming suit against the US government is sure to spoil the celebration. Less than a month after the Philip Morris saga was put to rest, TransCanada – of Keystone XL infamy – kicked off the New Year by suing the US for more than $15 billion worth of compensation. TransCanada had made $2.5 billion worth of investments in its environmentally ruinous Keystone XL pipeline from Canada’s tar sand fields to the American Midwest between 2008 and 2015, despite being aware that the project was under formal review – not exactly savvy spending. 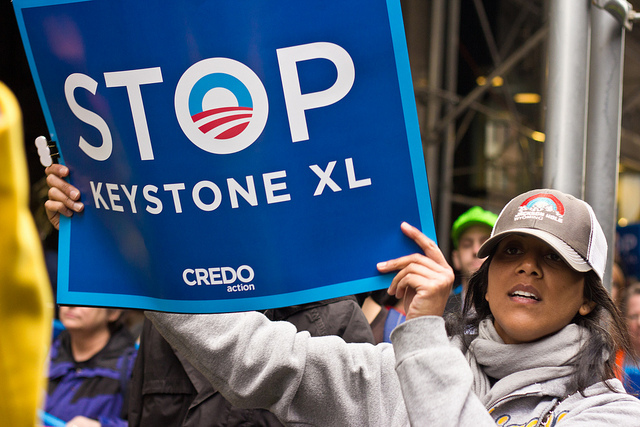 This private arbitration is in tandem with a challenge in federal court over whether the rejection of Keystone XL is constitutional. In fact, both Philip Morris and TransCanada’s cases involved parallel challenges in domestic courts. These investors are not using ISDS and investment protection provisions as the ‘last resort’; they’re using it for legal hedging, toxic opportunism, and to ‘chill’ social and environmental regulations that threaten their bottom line. And the normal win-lose binary doesn’t apply for ISDS cases. Regardless of the decision delivered, governments always lose – even when they win (which happens only 35% of the time) due to millions of euros lost in legal fees and arbitration costs. Risk will always be a fundamental part of investing, but should never be factored into public interest policymaking. If the EU wants to keep a free hand to set environmental and social regulations – including tobacco plain packaging and moving away from carbon-intensive fuels – abuse-prone investment protection measures will have to come out of currently proposed trade agreements altogether. Let Philip Morris-Australia and Keystone XL-US be the alarm bells in our ears.